Because of the moisture, we’re seeing a lot of them! 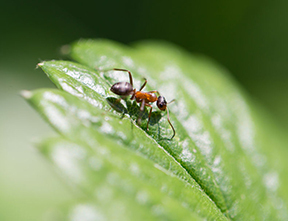 Ants are one of the most common pests in and around homes in the United States. Lately, due to the moisture in the ground, ants of all shapes and sizes have been coming out. Knowing what species of ant you have may help to determine the nesting site, food preference, and the best method of management. In most cases, the most effective, permanent solution is to find and treat the nest; queens must be killed to properly eliminate a colony. Many ants enter homes from outside nests as they forage for food. To find their nest, follow the ants. You can encourage foraging by setting out attractive food. Ants usually take regular routes to and from their nest and the food source by establishing a chemical (pheromone) trail. The nest may be found by watching where the ants go; for some ants, such as carpenter ants, this works best at night. If the nest is discovered, it can be treated or removed for example, in the case of rotted wood. 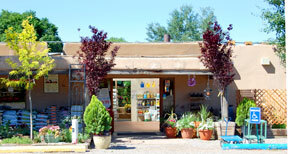 Stop by and ask our gardening experts what is the best product for your needs. CLICK HERE to see Payne’s selection of organic pest control.